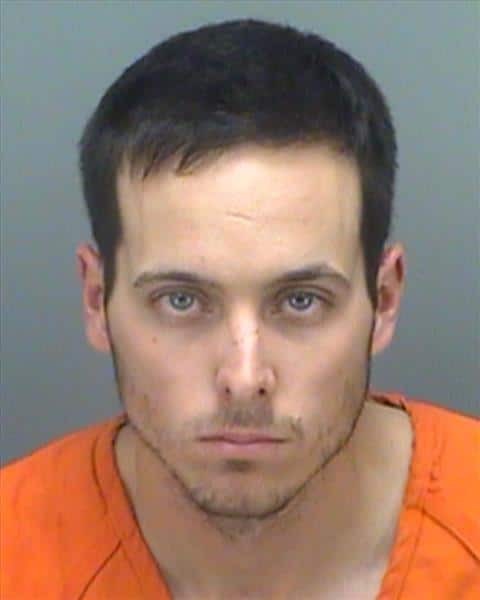 Cameron Ray Baxley, age 25 of Ruskin, was arrested by St. Petersburg Police following a crash the occurred at approximately 11:30 p.m. on Saturday, December 15, 2018. Investigators say that Baxley, operating a 2014 Jeep Wrangler, was northbound on 3rd Street North, turning west onto 1st Avenue North. Two pedestrians, 24 year-old Malcolme Sydney John Tunstall of St Petersburg, and 23 year-old Alexis Michele Scognamiglio of St. Petersburg, were crossing 1st Avenue North, from south to north, in a marked crosswalk. The Jeep Wrangler failed to yield to the pedestrians in the crosswalk and struck both pedestrians. Baxley then fled the scene in his vehicle, however, was later stopped by St Petersburg Police Officers several blocks away. Tunstall sustained life threatening injuries whereas, Scognamiglio obtained minor injuries. Both pedestrians were transported to Bayfront Health-St. Petersburg. Baxley was arrested and charged with DUI Serious Bodily Injury and Leaving the Scene of a Crash with Injuries.